DemoCurmudgeon: Screnock mansplains Dallet's supposed lack qualifications as next Justice. Screnock mansplains Dallet's supposed lack qualifications as next Justice. Screnock! No, it's not the name of a troll warrior from Lord of the Rings. It's the name of a cranky conservative judge who clearly knows more about the "rule of law" than anyone else, and thinks women don't have the ability to serve the people like a man. 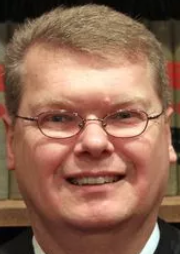 The law is conservative Judge Michael Screnock says; it's not liberal, it's not neutral or...whatever, and Screnock will rewrite it if it's not conservative enough yet.That's guaranteed. It drives me crazy: But really, conservative judges interpreting laws in a conservative way are...politically conservative. Originalists are conservatives who say the law is conservative. Yet, a neutral judge who defies the conservative line, is a liberal and unqualified. "He’s talking about all this rhetoric about rule of law garbage that is basically — it’s rule of law until it’s something you want changed and then you just go ahead and change it. When the Legislature gets it wrong and they violate someone’s rights, it’s my job to say no. I am not a rubber stamp of whatever the Legislature does or whatever the governor does." Screnock spokesman Sean Lansing expressed alarm over her comments. 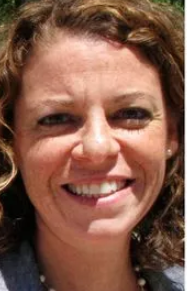 "It is shocking to hear a sitting judge, let alone a candidate for our state's highest court, use this language, and it seriously calls into question her ability to serve the people of Wisconsin as an impartial arbiter of the law."